I can't remember when the idea first developed in my brain, or what really prompted it. What I do recall, is many years ago, living in Atlanta and dating a guy I was sure I would marry, I suggested that we take an extended honeymoon - spend an entire year just traveling the world, soaking in as much as we could before all of the inevitable realities of life - home purchases and children and career opportunities - were too much to walk away from. At the time it was merely an idea, without any real roots, and when I parted ways with both him and the city I had called home, the idea was all but forgotten, tucked into some far back corner of my brain behind all of the sudden priorities of establishing myself in a new job in a new city, meeting new people, buying a home, and taking all of those steps towards achieving the typical American dream. Except that the idea wasn't dead, merely buried... and it began to germinate. A friend shared an article on Facebook from BootsnAll entitled, 11 Reasons to Stop Dreaming and Start Planning Your Round the World Trip. Suddenly that crazy idea seemed like a reality... people were actually doing this? Quitting their jobs? Traveling on their own? While I had convinced myself that I could never really do something like that and certainly not by myself, I let myself wander the internet, reading stories about others' experience on 'round the world' ventures, becoming more and more fascinated and enchanted by the idea. Eventually, through the support of a few very close and very adventurous friends and the reading of many, many articles and blogs, the idea for a solo venture began to seem realistic. Around the same time, I had become frustrated enough with my position and lack of traction at work to feel like, "I can do this. I can walk away from this and be okay." And then I began to plan. I researched and read and put together an itinerary and had a date in mind to leave. Except then I got a new boss. Work was suddenly challenging again, and it seemed like there were real opportunities coming my way. I had met some great people in town, and I was finally starting to feel comfortable in my new city. I even reconnected with a guy I thought I could bring along on the trip,"if things turned out well". So I pushed the idea down again, postponing the trip another year, and poured myself into other things. But here's the thing - this "trip" is no longer some passing idea. I suddenly realized that by pushing the trip to another year, I had simply succumbed to my own fears... fear of abandoning a career and a paycheck, fear of leaving behind the friends that I've met, fear of being out in the world alone.... fear of pursuing my dream. So this time, I won't postpone the trip. I won't walk away from my dream. In six months, I'll begin an incredible adventure... and while I might be scared to death, I can't wait to take the leap. YES! I am so stoked that you are doing this. Thank you!! I can't believe it's suddenly right around the corner! Yeah this is awesome! We are 100% in the same boat- I have been putting off traveling like this each year for various reasons. Finally everything fell together this year and I am taking the leap and doing it! What is your plan looks like your definitely headed to Peru? I'm so glad to hear you're taking the leap, too! Where are you headed first... and when? I'm officially starting my travels in September with Peru... the Inca Trail and Machu Picchu. It's been a long time coming! 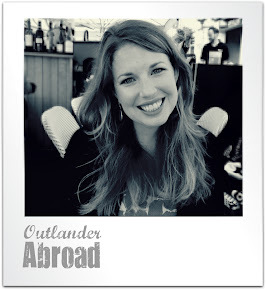 I'm liking your blog, definitely going to follow your travels! I *really* recommend going on a trip with Exodus or Explore or one of those adventure companies. They are excellent and a great way to meet other people. I have been on several - the Atlas Descent Bike Trip in Morocco, Lake Garda Mountain Biking, Sea Kayaking in Greece, Multi-Activity in Turkey. Honestly, they are wonderful and - no - I do not work for them. 3. Carry your smartphone with you and join websites like Wandermates.com or AirBnB to help meet other people (like me http://www.wandermates.com/profileview.php?profileuserid=1 :) None of them are perfect, but they are useful. Thank you for all the recommendations! I definitely have a few adventure-company trips already booked, and I have a few more in mind that I may book along the way. I hadn't heard of the two you mention, so I'll definitely look into them. I will have plenty of "full-solo" time though - definitely planning on staying in hostels as much as possible, and I'll look into some traveler-specific social media! I'm hoping Twitter can help as well!